I READ ABOUT THE PAPRIKA EFFECT AND CUSTOMER DELIGHT FROM HERE. What do marketers do from the point of view of customers? Are they just pesky & persuasive messengers putting pressure to create more and more demand? Do they vex potential and actual customers? After all, marketers are sworn by duty to increase the consumption of goods and services, by catalyzing the exchange process, and delivering value to customers. Marketers are the revenue generators from the point of view of the company, but what do the marketers provide to customers? 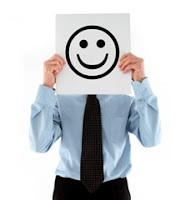 MARKETERS PROVIDE VALUE, and this value brings smiles on the faces of customers. Verily, marketers bring cheer to customers. This weekend was hectic - 'in-stall activity' during the annual mega conference of the Karnataka State Obstetricians and Gynecologists Association at Bangalore, kept pharma marketers busy. Pharma marketers were competitively outwitting each other to provide cheer to doctors visiting their stalls. The common idea of pharma marketers manning the stalls was to delight visitor doctors, engage doctors in tantalizing conversations, and reinforce brand prescribing habits. It is truly ironic that while marketers and marketing activities are keenly measured quantitatively, the actual result of marketing activities depends on an intangible - CUSTOMER DELIGHT. If the doctor is delighted with the in-stall activities, he or she is sure to get her colleagues to visit the stall or the doctor her/himself would become a repeat visitor - visiting the stall the next day too. Thus, marketers constantly grapple with a common problem: HOW TO DELIGHT DOCTORS (OR CUSTOMERS) ON A CONTINUOUS BASIS? Truly, keeping doctors or customers always delighted is an onerous task. Tachyphylaxis towards marketing activities can develop in the doctor's minds. This means the doctors' kind of get inured to the marketing activities and the marketer fails to elicit the same sense of delight from his target doctors. The marketer's charisma or joie-de-vivre is lost, a certain boredom penetrates the transactions. Hence, novelty is a key feature of marketing to keep delighting customers. One important way of delighting doctor customers is providing the unexpected. For eg., let us say, the doctor comes to the stall expecting a polite greeting and a free literature with detailing. And if the doctor additionally gets a nice freebie or even a nice rose, then the unexpected happening delights him or her. For instance, when a lucky dip of visiting cards is conducted on a daily basis among the visitors to the stall, the lucky dip winner values the gift (not for the monetary value alone); he or she values it most because it has come unexpectedly to him or her. Thus, doing something novel can provide delight to the doctor customers. When a doctor gets a small freebie which delights him or her, the marketed brand creates a niche in his or her mind. But the offering has to be competitive. Something unusually delighting that does not come from any other competitor stall or company. This cachet in marketing activity creates the top-of-the-mind recall for doctors with respect to a brand. Organizations should be customer-centric: An important prerequisite for delighting customers is that the marketing organization has to be customer-centric. There are many mindsets by which, organizations work. One easiest approach is producing quality goods and expecting them to sell. This is the production mindset. However, with most markets being buyer's markets today, it is imperative that the marketing personnel are part of customer-centric organizations. Such organizations will back the marketer's efforts, and the sales person will not end up being a toothless tiger in the clinic or any other market setting. When organizations are customer-centric they are in a better position to provide delightful inputs to customers. Process interventions count a lot: When organizations become customer-centric, they begin listening to market conversations, analyze market data, and produce value that will truly delight customers. However, to make delightful inputs to customers or prospects, a sequence of actions involving many people will be required. Thus, this implies that team play and process interventions will determine the outcomes of marketing. A process is vital to create the delight generating marketing inputs. Process interventions are more powerful since there is a back end support to the frontline marketing personnel. The customer delight generated by a process rather than by the charms of a single marketing individual will be obviously more powerful. Process interventions can produce superior outcomes in terms of customer delight. Talk in terms of how the pharma product will generate superior patient outcomes: The marketing talk should ceaselessly focus on improving patient outcomes. This is the final goal of every doctor. When, all marketing value pivots round this vital point of superior patient outcomes, the delight factor will be higher. This talk has to be embellished with service inputs to doctors. The winning combination will then generate greater customer delight and better sales results. Small thoughtful touches can win customers. Many a battle for customers are won through small gestures or innovations or acts that delight customers multi-fold. When a customer visited a hotel and found a drape clip to help keep the hotel room completely dark - it delighted her. This reflected a mind-set of the hotel management that they look in to small details to delight customers. This is a very important lesson for marketers. Organizational activities that look in to ironing out small problems will surely go a long way - as it indicates a basic mindset to create customer delight and cheer. Thanks for reading this blogpost, please scroll down, click on OLDER POSTS wherever required to read all other blogposts. Please do inform your acquaintances of this blog!